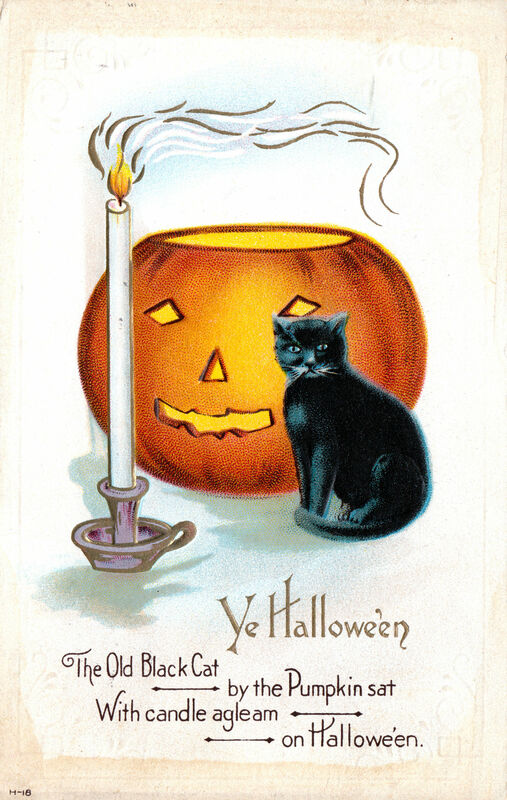 A witches'-cauldron table and a black-cat table. 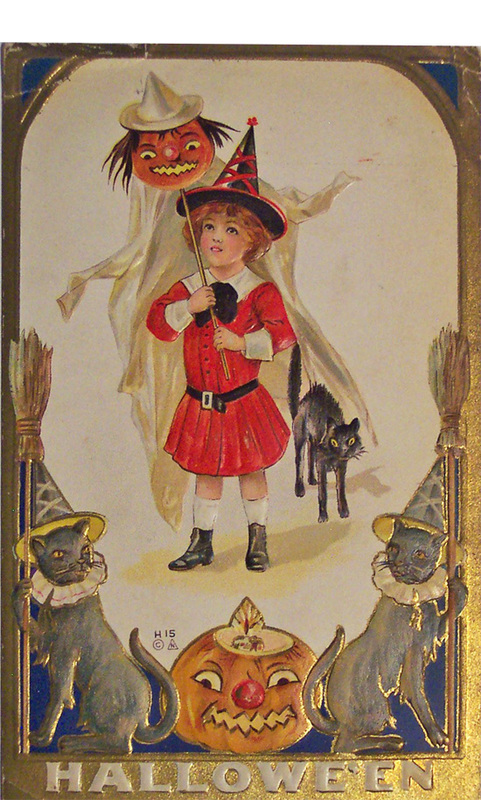 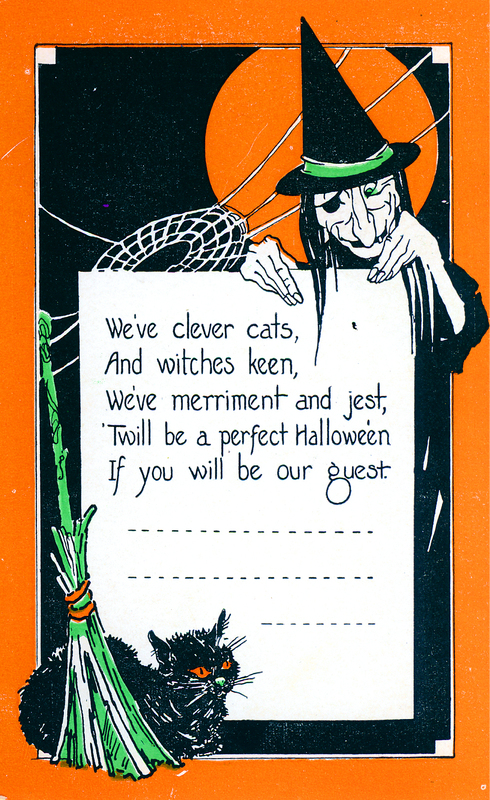 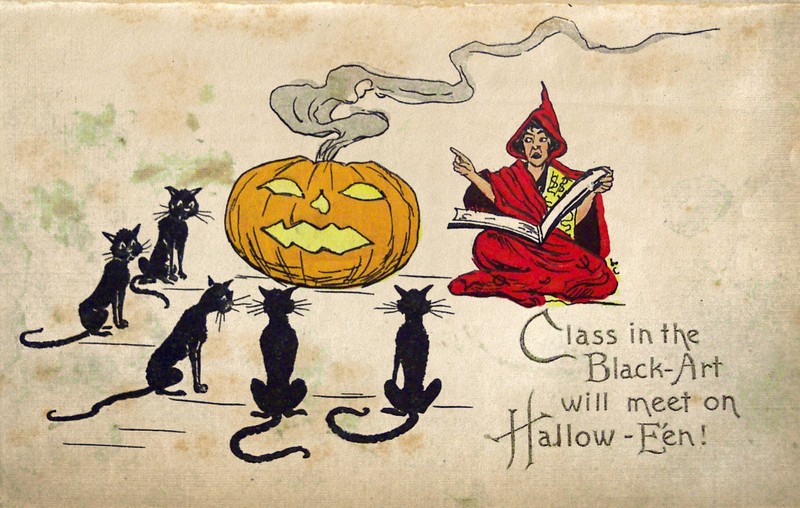 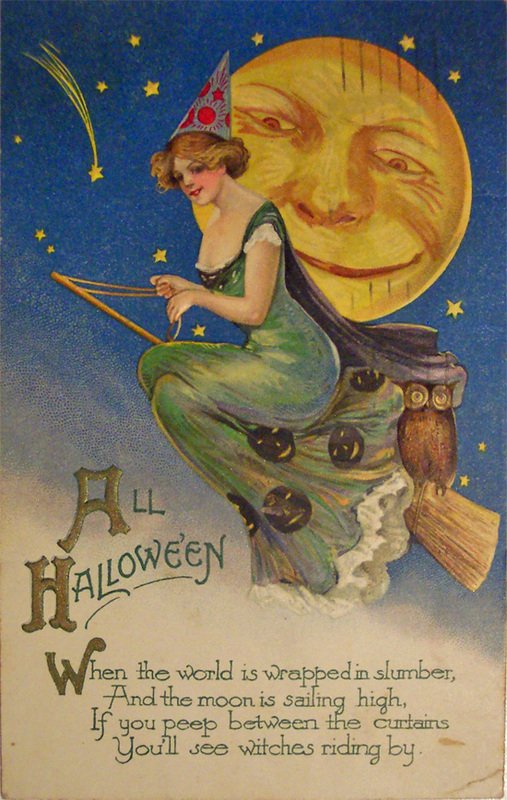 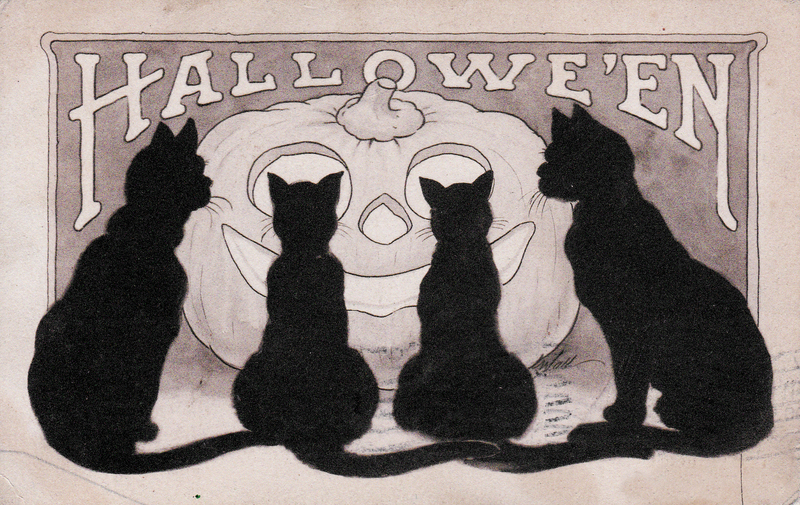 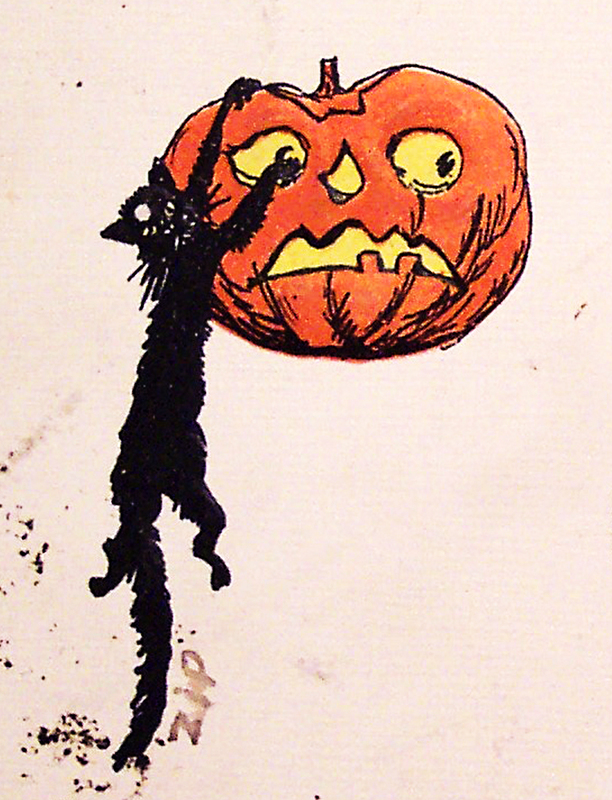 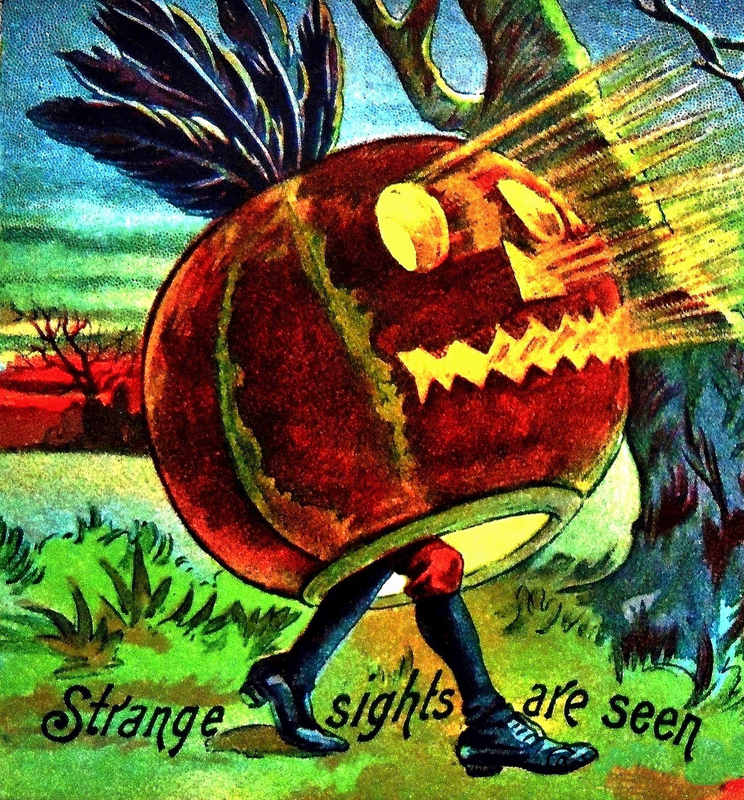 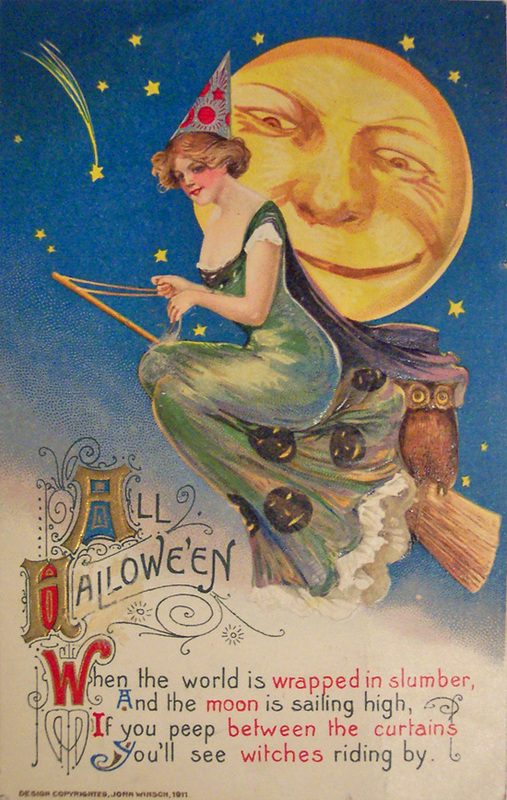 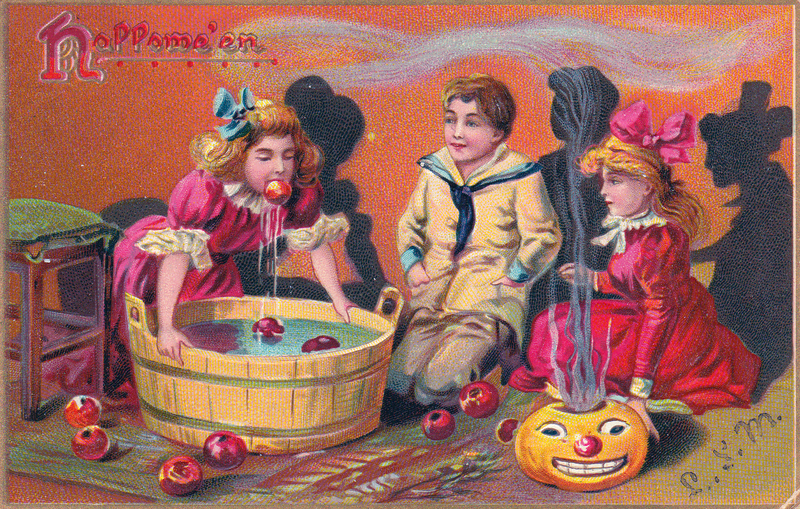 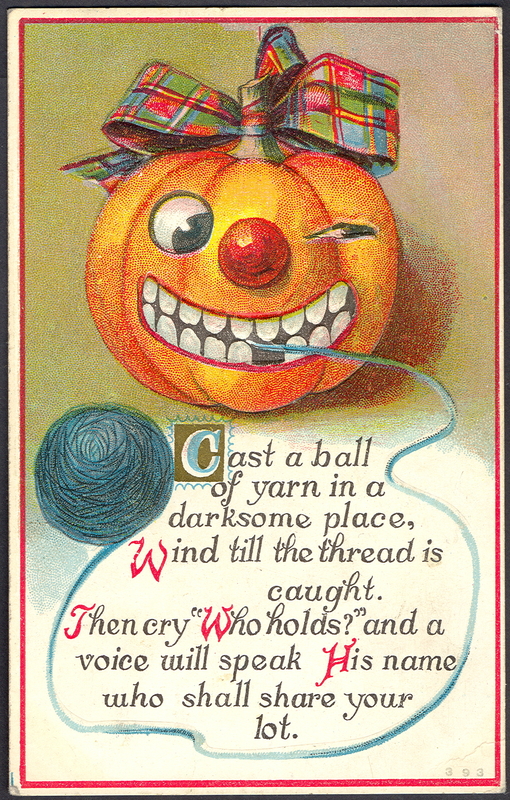 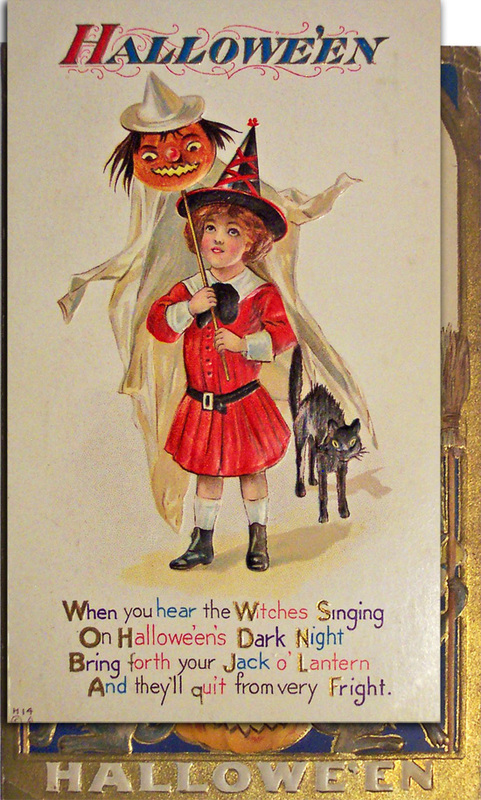 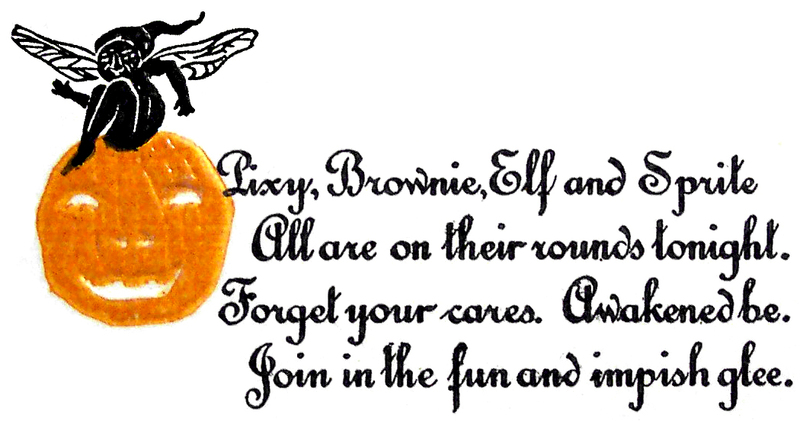 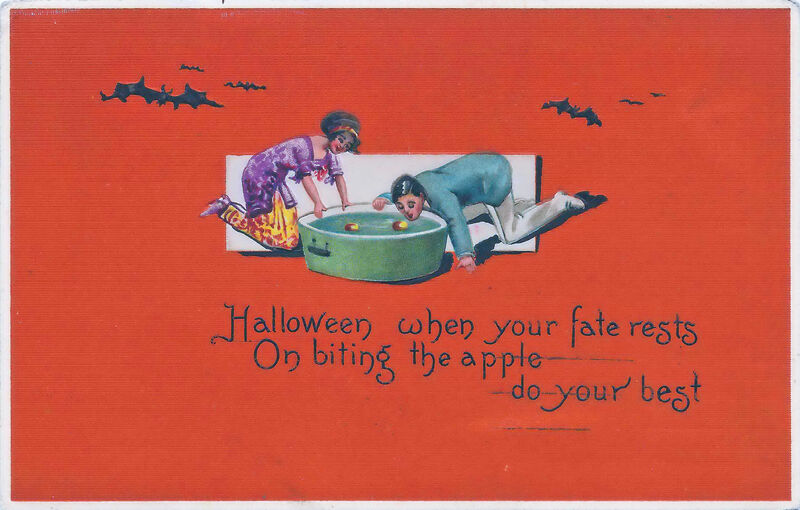 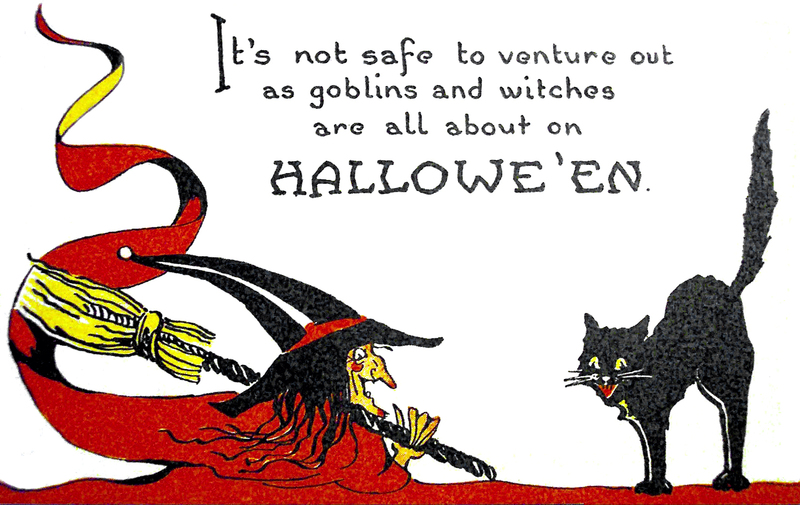 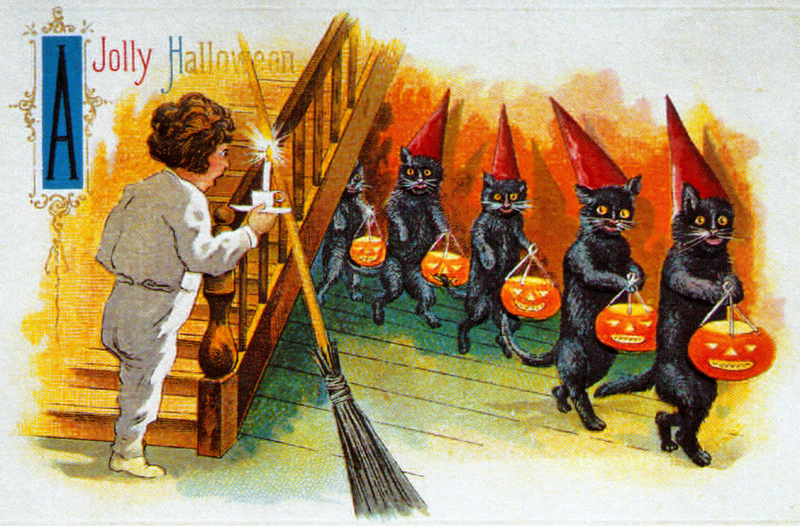 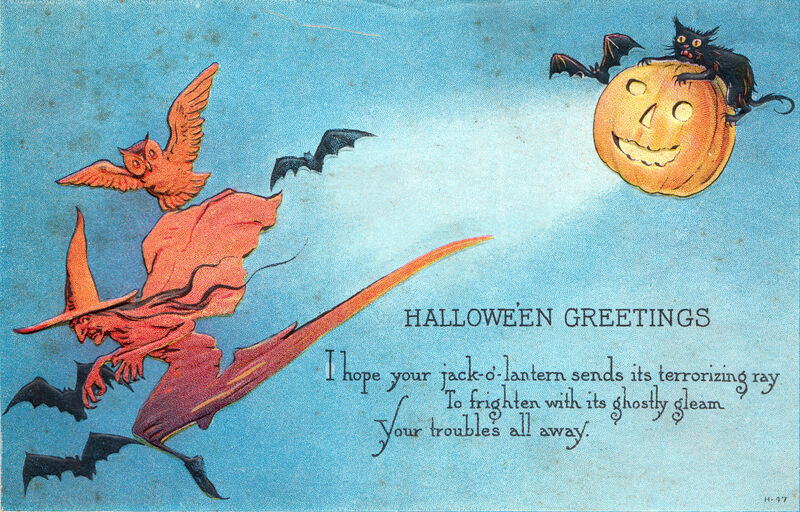 From The Book of Hallowe'en by Ruth Edna Kelley, 1919. 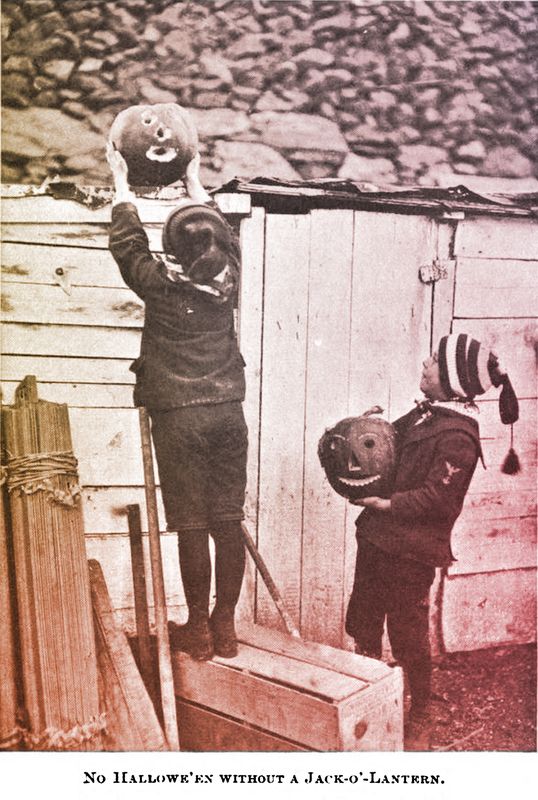 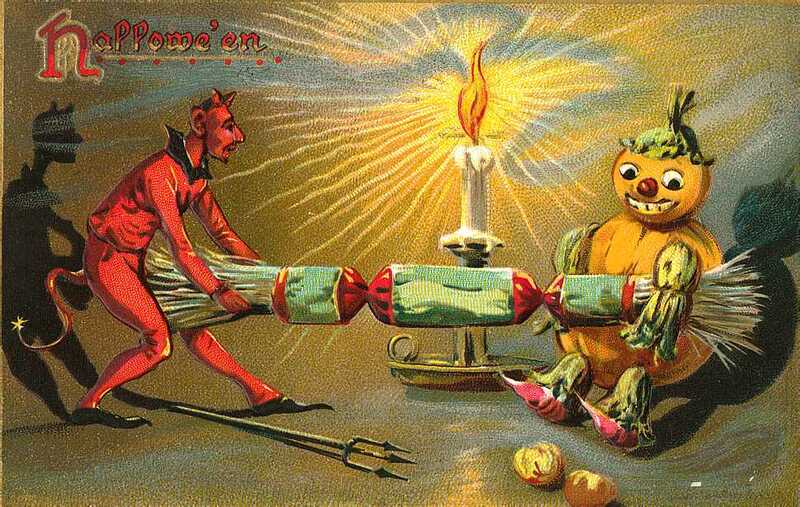 "No Hallowe'en without a Jack-o'-Lantern." 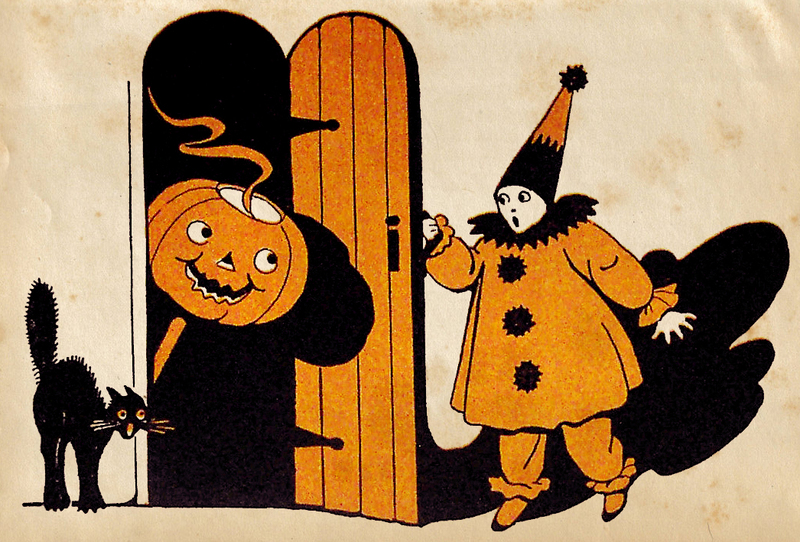 From The Book of Hallowe'en by Ruth Edna Kelley, 1919.